Chelsea will ban any supporters found to have used anti-Semitic language or behaviour during the defeat at Watford on Monday, saying it “shames the club”. The Blues lost 4-1 at Vicarage Road in the Premier League. 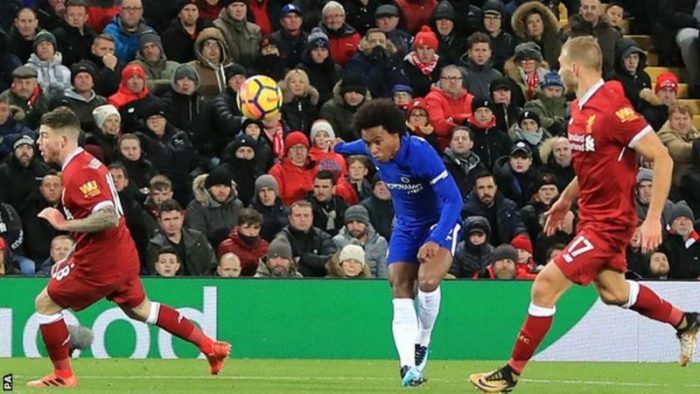 A report on a Jewish website said one fan was left “disgusted” by chanting from fellow Blues supporters, reporting the incident to stewards at the ground. “Anti-Semitism has no place in our club, football or wider society,” said a Chelsea statement. The club have launched an investigation in co-operation with Watford and the police. The statement added: “Anyone found guilty of anti-Semitic language or behaviour will face action from the club, including bans, and will be asked to attend equality education courses. The club last week launched a ‘Say No to Anti-Semitism’ campaign as part of their own inclusion work through the Building Bridges initiative. “At this stage Hertfordshire Constabulary has not received any reports from members of the public regarding racism during the Watford v Chelsea game on Monday evening,” Hertfordshire Police said in a statement. “We take all reports of hate crime very seriously and would urge anyone who witnessed this type of behaviour to contact Herts police.